A good, tight copy, usual 'lifting' of laminate to cover, discolouring to fore-edges, a little creasing to lower cover. Myles Burnyeat's attractive bookplate to half-title. 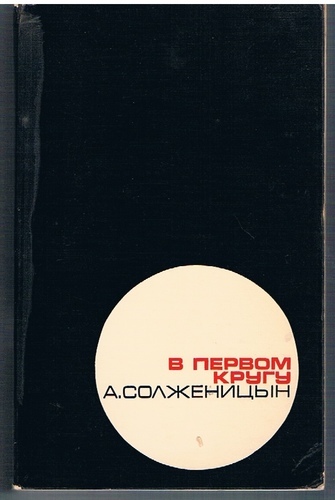 ; First edition of Solzhenitsyn's The First Circle (K87 version) published in London by the controversial London based emigre publisher Alec Flegon. 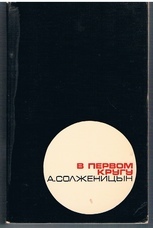 Alledgedly paying authors no royalties (claiming that publishing Samizdat was help enough), Flegon was eventually taken to court by Solzhenitsyn. This work was also published that year in Frankfurt and in New York under the title "V kruge pervom". 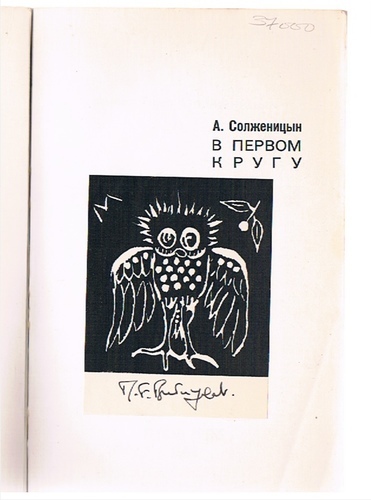 Flegon always held "I was the first one in the world" that his was the true First Edition and that the Fischer edition of that same year was a 'mere' photocopy of the original samizdat.